This is a high quality desk lamp. Purchased online from Staples for $95 including tax. Encourage a classic aesthetic with the familiar silhouette of this adjustable gooseneck desk lamp. A style that persists for a reason, this gooseneck desk lamp is easily adjustable for optimal functionality in your home office. A black finish emphasizes its timeless appeal. Solid metal construction with a six-foot long cord. Heavy base, will not tip over. A 100W bulb can be used (most only take 60W). 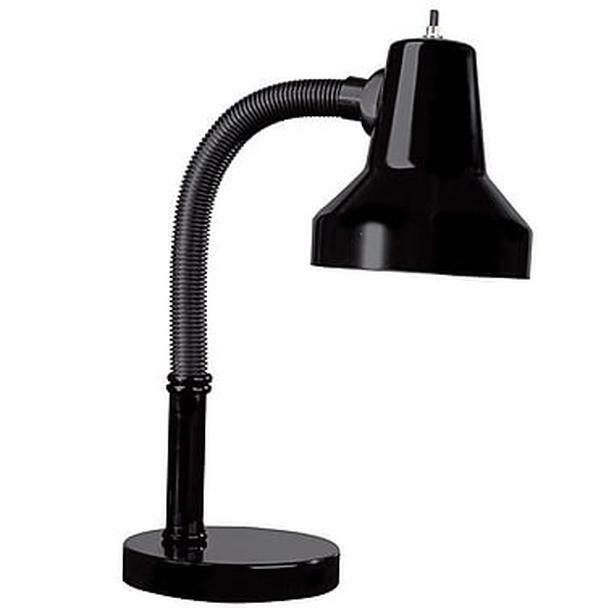 * Dainolite gloss black gooseneck desk lamp. * Fully extended arm length is 9 1/2", Canopy Diameter: 5.5"
Excellent condition from smoke-free, pet-free home.